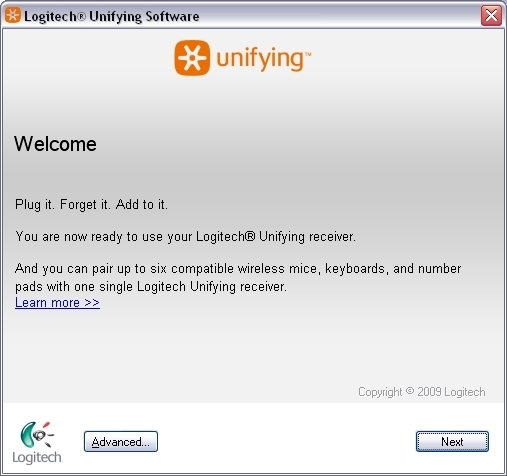 Logitech Unifying software lets you manage your devices that use a Unifying receiver. You can add or remove devices using the software's wizard or use advanced mode. Advanced mode also displays the status of your paired devices, battery level and firmware version. echo "DJCUHost not running... (Good!)" echo "Stopping DJCUHost post install..."
This discussion is only about Logitech Unifying (Install) and the Logitech Unifying (Install) package. If you have feedback for Chocolatey, please contact the google group. Tell us what you love about the package or Logitech Unifying (Install), or tell us what needs improvement. Deployed from e27d7a207f. You are on web.2. UTC time is currently 23 Apr 2019 03:06:46 +00:00.